• Sun Spa Resort Quang Binh is a 340-room, 4-star hotel just 1 kilometre from the centre of Dong Hoi City. You can walk out on to the beach and the Nhat Le River is 300 metres away. It has great facilities including sauna, massage, jacuzzi and outdoor pool, restaurant bar and tour desk. • Phong Nha Lake House Resort is a 15-room hotel, offering 3-star service with the lake view rooms and bungalow in demand. It is conveniently located for the city and has plenty of facilities on site including bar, restaurant and coffee shop. • Muong Thanh Holiday Quang Binhis a 92-room, 4-star hotel close to Nhat Le Beach. It has bar and restaurant, spa and massage facilities and if you want a real treat, book one of the suites. • Osaka Hotel is near the centre of Dong Hoi and has facilities such as room service, coffee shop and restaurant. There is a range of rooms including a suite suitable for a family. 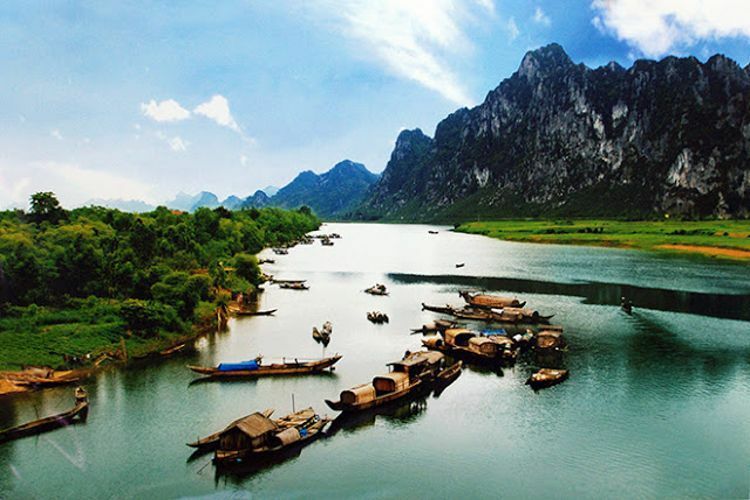 • Saigon Quang Binhis a small 15-room hotel on the Son River in Phong Nha-Ke Bang National Park. It is an exhillerating place with lovely breezes from early in the morning. Each room is well-equipped and there is a bar and a round-the-clock restaurant and an a la carte menu. If you are on a Vietnam family vacation there is no charge for up to 2 children sharing with their parents. • Sunrise Hotel Quang Binhis close to Nhat Le Beach and offers comfortable accommodation, coffee shop and restaurant, free parking and a tour desk. • Ban Mai Hotelhas 58 well-equipped rooms with guests having use of a private beach and garden. There is a restaurant and room service as well as concierge for any advice required. • Riverside Hotel is built in French colonial style and looks out over the river just metres away. It has a restaurant, free Wi-Fi, tour desk and free parking amongst its services. • Cao Minh Hotelis a brand-new hotel close to the beach. Thereare 50 rooms over 12 floors with bar and restaurant available for guests. The views over the beach and sea are especially impressive. • Hoa Binh Hotelis just 2 years old and has 35 rooms each en suite. There is an indoor pool among its facilities, restaurant and room service. 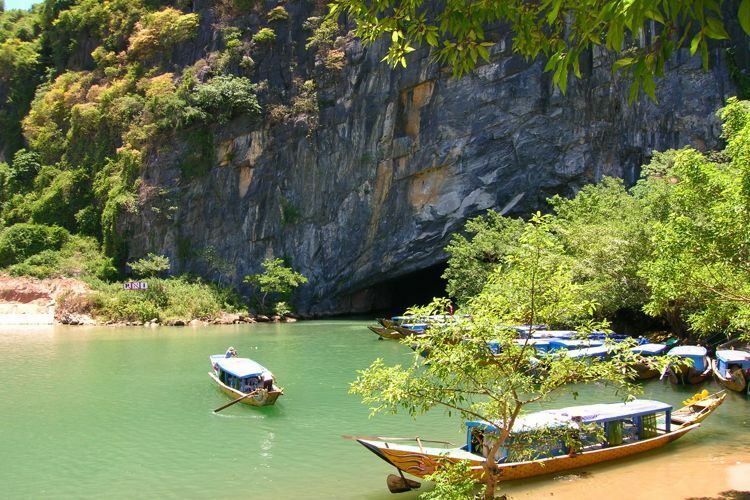 • Bao Ninh Beach Resortis a 62 room complex on the beach of the same name. There is a lovely restaurant where seafood should be everyone’s first choice. • Nam Long and Nam Long Plus Dong Hoi Hotels are two family-owned hotels offering good value for guests with both having rooms to suit couples and families.